Brand attachment is a metric that speaks to the level of emotional buy-in. People don’t just like these brands or these people, they adore them. They have a higher than normal word of mouth or advocacy, and thus tend to spend lower than their competitive set on traditional media. Chris Kneeland’s work aims to understand how to get somebody to pay more and be more loyal while spending less on advertising and discounts. Chris is the co-founder and CEO of a marketing consultancy called Cult Collective. 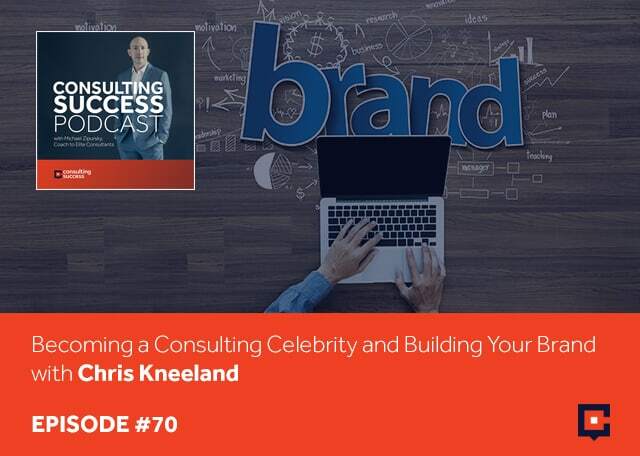 Chris shares the significance of building your brand and how to have to have more than customers or cult-like following in a positive way. I’m very excited to have Chris Kneeland joining us. Chris, welcome. Thank you, Michael. It’s great to be here. Let’s just start off and have you share with everyone, if they’re not familiar with your work, what it is that you do? I’m the Co-Founder and CEO of a marketing consultancy called Cult Collective. We’re headquartered in Calgary, Alberta. We work with North American brands that aspire to have more than customers and cult-like followers. They tend to be these iconic high-affinity brands that reap disproportional benefits with word of mouth and advocacy-based marketing. We’ve been doing that for about the past eight years. Through the process of birthing that company and serving those clients, we stumbled upon another opportunity over the past couple of years servicing the agencies and the consultancies that also catered these large companies, with a company called Communo. I want to explore for everyone to get your insights on how you’ve built these businesses so that other consultants can apply those principles and strategies to their own consulting business. Also, some of the knowledge of how you apply these best practices and techniques for the benefit of your clients and see how other consultants and consulting firms may also be able to benefit from those. You run a cult, not in the sense that most people think. Tell us more about what the word cult means to you and why you chose it for your company? I was very sensitive to how this was going to translate. Cult has a negative connotation in English. I didn’t know how much more negative it might be in Spanish, German, or French. It’s about the same. Cults are typically thought of as brainwashing organizations that convince people to do weird things. I read a book around 2009, 2010 by a guy named Douglas Atkin who went on to have a very successful career of Airbnb called The Culting of Brands. It just spoke to me. It spoke to all these principles that allow people to become hyper affinity towards religion or towards cult leaders. It could also be manipulated, for lack of a better word to allow people to fall in love with brands and with organizations. We have seen that over the past decade, there’s been a decline in participation in organized religion and an uptick in people’s alignment with brands. They give them a sense of purpose, a sense of community, and a sense of shared values. I’ve seen this term of cult or creating a cult-like following in a positive way just become part of conversation more often. The first question that stands out to me is when you talk about brands being able to apply this cult-like following or the benefits of creating what people would see as a cult, is that something that is only available to brands? Is that something that even a consulting firm or even a solo independent consultant can do for themselves? Our hypothesis when we started this research years ago is that it was mostly akin to high-affinity categories within B2C companies: Converse, Red Bull, Victoria’s Secret. There in your neck of the woods, Michaels is a great cult brand, Lululemon. That’s where we started the work. A few years into it, we discovered that they could equally apply to nonprofit organizations. We discovered it could apply to destinations, places like Vegas or Manhattan or Iceland or Austin, Texas. We’re recognizing personas, celebrities, politicians, people that have created cult-like followings around their ideas. The symptoms to run through quickly are people that have higher than normal brand attachment, normal meaning their peer set, their competitive set. Brand attachment is a metric that speaks to the level of emotional buy-in. People don’t just like these brands or these people, they love them, they adore them. They have a higher than normal word of mouth or advocacy. That means that they tend to spend lower than their competitive set on traditional media. They tend to do things like discount less. Many cult brands like Apple, Starbucks, Harley Davidson, Nike, they’re all at the premium price point. We’re just fascinated by that. 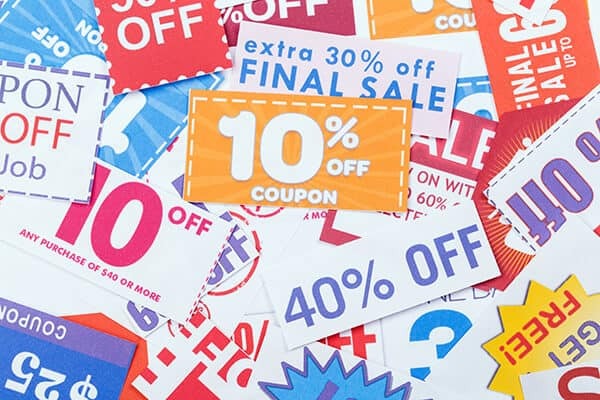 If you can get somebody to pay more and be more loyal while spending less on advertising and less on discount, that seems like a recipe we want to understand. That would create a significant advantage for anyone that would apply that. Let’s just talk a little bit more tactically for a moment. For the professional services firm and the consulting business, what are some of the key principles or ideas? I know we can’t get into all of them but maybe just a few that stand out for you of the biggest bang for your buck or the biggest impact that someone could have by implementing. That first thing I advise is it’s always easier as a consultant to apply these principles to your clients. If you’re going to drink your own Kool-Aid and try to follow your own recipes, it all starts with what is even your noble brand purpose. 34What’s the ethos of your organization? What are you even seeking to do? There are far too many business owners and consultants that just want to be successful or just want to be profitable. That’s not the starting point for a cult brand. Cult brands want to be significant and they want to be purposeful. The success is a means to that end, not the end itself. There are a lot of tactics around their go-to market persona. How relatable, how human are you? We’re believers that all business is personal. The more that you can humanize your organization, rather than trying to create this aura of being a corporation or an entity that is either soulless or personality-less, some of these cult brands tend to dial up these things that feel wildly human and wildly enjoyable. It’s like somebody you’d want to hang out with. I can say Harley Davidson and you think of a person. I can say Gatorade and you think of a person. Not many consultancies have that relatability. Maybe the last one I’d throw out there is cult brands do a great job of listening. Often as we’re trying to build our businesses and become known, we talk a lot, we write a lot, we speak a lot. We want everybody to hear us and yet some of the most cult-like brands on the planet listen well. They respond to the things that they’re hearing. We call that co-creation where they value their audiences for more than just their dollars. They value them for their voice. That voice either makes their products and offerings better or that voice has turned out to create referrals. You have this noncommissioned sales force driving business to your door. This is very powerful. I can see how if you’re listening very well, you can pick up on what your ideal clients in the marketplace that you’re serving wants. 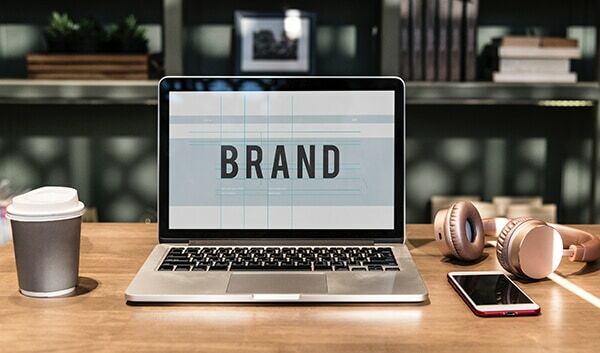 How you can then take that, make sure that your brand is more human-centric and personable through your language that you’re using and images and so forth. What do you do next? Is it about applying that to your website and your LinkedIn profile? Is it making sure that all of your ads also support that more human-centric and personable focus? Is it about creating videos? Maybe if you could just offer a couple of tactics or a couple of examples that might be more relevant for a celebrity or a personal type of brand or a professional services type of business. I wouldn’t start any of the places frankly that you just said. Too quickly we default to marketing communications type things. We talk about how can we communicate our value better, whereas cult brands focus on how do you create value better. I would start first and foremost with your positioning. Your single most powerful business development tool is your positioning. How do you want to be known? In far too many particularly consultants, it’s just a sea of sameness. There’s no obvious differentiation. One of the biggest problems is that they’re just a little too appealing to everybody. Whenever we go into consulting with a consultant, we talk about at a minimum your positioning should alienate 50% of the people that read it. 50% of the minimum should say, “That’s not for me, I would never hire somebody like that.” If you’re going to be a masterclass, 80% of people would stumble across your material, your website, the name of your webinar either, “That’s not for me,” or “I disagree.” You’ve got to have very provocative positioning supported by persuasive proof points. Those proof points become what’s your proprietary product? What’s your IP? What’s your research? What’s your point of view that allows you to defend whatever it is that your positioning might become? Whatever you’re packaging and whatever you’re selling, it needs to be applying these cult-like principles more so than what your videos or your website or your brochures are saying. You spent some time teaching at Mount Royal University I believe. I read that you show students that marketing isn’t about getting people to buy. It’s about getting them to buy in. What’s the difference? It goes back to that symptom of a cult brand and the emotional investment. It’s a metric. It’s called brand attachment, but it’s who’s rooting for you. Who wants you to be successful? Who’s going to forgive you and give you the benefit of the doubt when you screw up? We all made a lot of grace because we’re all going to make a mistake. We’re not all going to be like Lulu and sell pants that are see-through or Chipotle that sell burritos that make you sick or United that throws passengers off of planes. Everybody’s going to make some mistake. Cult brand followers are so aligned with what you’re trying to accomplish that give the grace for messing it up. We certainly need those consultative meetings. There will be a bad meeting. There will be a miss communication. There will be a miss when one of the recommendations fell flat with one of the second chance at that and that’s done with enthusiasm rather than somebody doing it begrudgingly. Chris, many people will go, “That makes sense. I know instinctively that I should focus more on a specific type of ideal client.” They’ve probably heard the importance of polarization in their messaging and marketing communications. There’s still fear around that. Many people don’t do that because they’re concerned, they might miss out on opportunities. They might offend someone or they just might not grow because they’re going too narrow. What has your experience shown you in terms of going narrow at polarizing? I emphatize. It is scary but it’s the sign of an unsophisticated or immature professional to not do it. You will eventually learn it is the only way to success. I didn’t start my career birthing a consultancy called Cult. I graduated at that point where I realized there are probably in any given year about 500 businesses that would qualify. That’s scary when you’re a more traditional consultant or advertising professionals when there are tens of thousands or hundreds of thousands, but the reality is I only need about a dozen. To satisfy the size of our firm, I can onboard about a dozen new clients, about one a month then I’m doing great. I don’t need thousands of prospects in order to do that. I need a few good hundred and then trustworthy marketing tactics that will allow my close rate and my conversion rate to bring in our goals. Let’s talk about what’s worked for you with your consulting business and agency over the years. When you started the business, how did you go about getting clients? What worked best for you early on? About three weeks in, Harley Davidson calls. We were giddying. Harley Davidson says, “We’re looking for some new marketing help and we are a cult brand.” Even that language resonated with them. They said, “We’re fearful that we might be losing some of that status, particularly amongst younger shoppers, the Millennial crowd. Can you help us?” If you’re Harley and you’re trying to maintain your cult-like status, who are you going to go to? You go to the doctor that claimed some expertise in cult brand status. Harley would never have called if we hadn’t done that. We also had made a very tough decision that we were going to be different than all of our other peers by not responding to RFPs. We weren’t going to wait for other people to decide, “I have a need and if you’re lucky, I’ll pick you.” We consider that like an episode of the Bachelor where these clients are giving out roses and we’re all begging to get one. We said, “Screw that. Let us go find the brands that are in jeopardy of losing their cult-like status or have the DNA of a cult brand, but haven’t capitalized on it yet and are selling themselves short of their potential.” We had an outbound sales effort that went into these few hundred businesses that we had opinions about. We are much more interested in quality than quantity. We don’t subscribe to the fact of doing a bunch of say and pray marketing where you hold 1%, it does something. We would send out a few hundred things and expect to have 40, 50 phone calls from that. It was much more surgical. What did that look like? If you can break down the step-by-step that you went through with that outbound sales effort. What were the actual steps that you were taking? Was it a letter or a postcard? Just to understand and make it very clear, you identify the people. You made phone calls to them or you send emails. That was promoting a white paper for their specific industry. Let’s just say retail will be one. You had a three to five-page white paper for retail brands. You would invite them to a webinar that you would host that would align what the white paper was all about or a similar type of content or explaining the scorecard or one of the scorecard comes in for them to have the opportunity to go through that and get some data for you. How well did that work for you when you first launched it? That was our primary path for new business because like I said, we weren’t waiting for somebody else to determine they have a need. “Let me go out and look for hiring.” We had to create a need. We had to create dissonance in their minds of saying, “You may not be doing as well as you think you are.” That’s gotten me to this day. We’re seven years old now. That remains one of our primary outbound activities. What would be one of the biggest changes or a tactic or a strategy that you’re using different from that one that you’ve honed today compared to back then? Is there anything new in terms of technology or tools or an approach that you just found to work even better? We certainly do more promotion of the white papers. We do a video once a month. Our goal is to get a fish on the line every month. Cannabis just got legal in Canada. 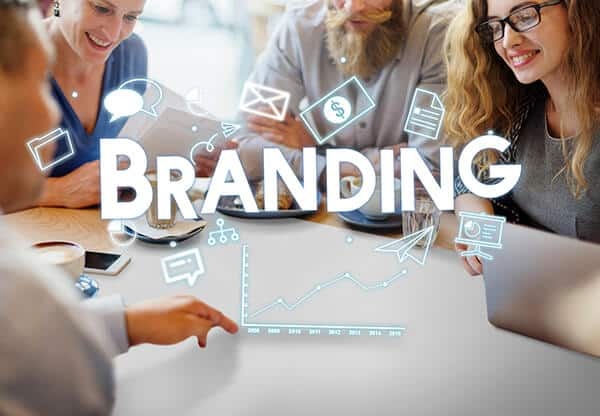 We have an opinion about how cannabis brands and cannabis businesses should be engaging their audiences to be more than just sell weed but to create heightened levels of affinity. The difference between what happened yesterday and what would’ve happened seven years ago is we will do more promotion of that via Instagram or LinkedIn. We’ve got thousands of emails now in our database over time. We might shout a little bit louder that this content is now available. Essentially, the thinking that goes into the white papers and the webinars is largely been the same. When you talk about promotion, is it just manually through you and your team’s own accounts? Are you using paid acquisition, paid media to get the word out? A little bit. Maybe $5,000 is a monthly paid media buy that we’d go into those different social channels. That’s largely because we’re trying to extend our reach. We have about ten geographies that we’re particularly interested in. We’ll goose our efforts and do some geo-targeted ads in those specific geographies. Chris, you said that entrepreneurs will not succeed in today’s rapidly changing marketplace by relying heavily on full-time employees. This strikes a chord for many consultants who want to scale their consulting business. Explain your thoughts, beliefs, and experience regarding that statement. This is a chance to bring up the Communo. When we started Cult as a traditional consultancy, we never call ourselves consultants. We consult but we’ve always thought of ourselves more of the firm or as an agency that provides more than just advisory services. We assist with elements of the implementation of our advice as well. Our name was the Cult Collective and Cult referred to our provocative positioning about customers or businesses. We should have more than customers. They should have cult-like followers. Collective referred to our operating model, our ability to tap into a network of subject matter experts that weren’t necessarily on the payroll. That Collective started with eight or twelve preferred service providers. It could provide our clients with some niche things as they implemented our ideas like, “Build me a website, improve my store experience, give me some employee training materials.” It grew to about 75 businesses. We realized this Collective has taken on a life of its own. We started to put some energy into figuring that part of the business out. We realized that every consultancy needs to deal with scale. Not every consultancy needs to deal with staff. More often than not, a staff is a liability, not an asset. If you don’t have your staff fully utilized, they are now costing you money. They’re distracting you to find work with the intention of getting them billable, rather than finding work with the intention of solving interesting problems. You talk to a whole bunch of consultants and small agency owners and they’re wildly discontent. They almost feel like they’re running a daycare. Their job every day is to find things for their people to do rather than to find problems that they personally want to work on or clients they personally want to work with. We said, “We’ve got to get the staff part out of it.” The problem is the vanity metric. Even when you mentioned in my intro, “Tell us a little about yourself, maybe how big you are.” Everybody wants to associate success with headcount. “If I have ten people, I’m less successful. If I have 50 people, regardless of what if I’m making $100 million of profit in one scenario and in debt in the other scenario.” What’s important is profitability. We basically think of it as Tinder for marketing service professionals. There’s a host of problems with bringing on freelancers or contingent workers. A lot of those problems frankly have worked themselves out over the past few years, largely through both technologies and through just more sophisticated entrepreneurs. The stats in the States is about 40% of the workforce are going to be entrepreneurs by 2020. The world of entrepreneurship is exploding. They’re doing so with better expectations, better clarity around their products and offerings, and better integration in terms of what is and isn’t appropriate to outsource. My point is simply any consultant that’s trying to grow his business has a universal villain. That villain is volatility. You do not know if it’s getting worse, not better. It’s the unpredictable nature of, “What am I going to be working on one, three, six months from now?” Why would you burden yourself with an employee that expects a paycheck every two weeks regardless of the health of the business by absorbing that volatility in-house? I want to outsource that volatility and just have access when needed to great talent. There are so many options available to people these days, whether it’s services like Toptal or Fiverr or 99designs. Regardless of the industry and what you’re doing at Communo, there are just so many places that people can go to get support in different industries. I completely agree with you. Bringing on a full-time employee right out over the gate, unless you have a very specific reason for it and very good plans, extremely strategic, it’s probably better to start off as a bit of a contractor, a bit of a freelance type of role and build from there. I wouldn’t even say startups. When we started, it was a bit of a cheat because we had a running head start in the sense that we birthed the data from existing agencies. We had some clientele and we had about 45 people. Every year, we have grown our revenues and profits and cut our headcount. It wasn’t like, “Let’s just use this outsource model until we get big enough and more stable.” Our stability is directly correlated to the outsource model. We’re now bigger than we’ve ever been and I’ve got 22 people on full-time staff. There are some things I would never outsource like client relationships and our core competency, what we call our engagement officers, who are masters of the Cult brand principles. Everything else is basically commoditized. If we need some design help or some copywriting help or some videography help or some digital help, I don’t need 2,000 hours of that on a yearly basis to warrant a full-time on it. That thing you hit the nail on the head right there. That’s just the real gold is for people to get very clear on what are the high-value activities, actions, and work compared to the low value. That’s the low value is what you want to be outsourcing or getting others to do. What you’ve been doing is a great example. Chris, you teach, you run an agency, you have two businesses. We haven’t even talked about your event called The Gathering. In addition, you’re doing a lot. Some people would look at it and say like, “That’s a lot going on.” I’m very interested to know how you manage your time. What is your daily schedule look like that allows you to be focused, productive and keep all of these things moving forward? I spend most of my time on Cult. When we birthed Cult, there’s a business partner and myself. We were 50/50 partners spending all of our time on Cult. As I mentioned, as the Collective started to become a bigger thing, we decided to divide and conquer. He spends most of his time on Communo. I spend most of my time on Cult. It’s probably a half a day a week that we swap where he’ll get into the weeds on what’s going on with Cult. I’ll get into the weeds on what’s going on with Communo. Things like teaching, I consider that my play time. That’s hobby time. That’s fun for me to be able to do. I would stop that in a minute if I felt like it was infringing on my ability to be a good husband or father or employer. It’s a great way for me to nurture some talent for our own pipeline. It’s a great way for me to get some cheap talents to do research and help me do things that I need for my day job by having the students do it. It’s just good for my ego. I like sitting in a room full of people that are lapping up all the things that I have to say as if it’s gospel. I enjoy the teaching. I just do it on an ad hoc, on an adjunct basis in the winter semester so it’s cold and miserable here in Calgary. When it comes to doing the most strategic work within the organization, when do you do that? Are you typically doing that in the morning? Is it once a week? Is it daily to a certain time? How do you ensure that you have everything moving forward properly in the business? Everything’s running well, but you still create enough time for you to be strategic and work on the business. I’m better at home not having wasted time in the shower, getting ready or sitting in the car. I’m in my pajamas doing my speech writing or my productizing or my client service email communications usually in the morning. About 9:30 or 10:00, I run out of gas and I give myself two and a half, three-hour sprint at that. That’s when I’ll then get showered. I usually line up calls during my drive in so that can be productive. I usually try to leave the office around 6:00. My nights are for my family. I certainly feel like I have a pretty manageable, I put in good ten or eleven hours a day. I don’t slave on nights and weekends trying to keep the businesses afloat. Part of what I’ve done here is I’m trying to make a life, not just earn a living. That deals with having some proper balance and boundaries. Let’s explore the event. There are many people who consider at some point creating an event or hosting some a discussion panel or even small little breakfast group that they can moderate with ideal clients in the room. You’ve built a very significant event, from what I’ve seen and just taking a look at it online. Tell us why did you create the event and what’s it all about? Your audience might like this. I’ll tell you the event is not anything like what we thought it would be. There are still advantages of it but proceed with caution. When we birth Cult, our biggest fear was that people would wonder, “Who are these nobodies from Calgary?” Calgary is not known as a market that is producing tremendous thought leadership in the space of marketing and brand building. We love living here, we love raising our families here but it’s a handicap frankly for what we’re trying to do with our business. We had to find a way to say, “Make a splash.” It’s something significant has happened that is agnostic and indifferent of where it is taking place. We looked at a few options, everything from writing a book to making a movie, to doing the speaker circuits to hosting an event. We landed at the event, it’s called The Gathering. We spent probably $250,000 the first year with what would be the equivalent of like having an amazing wedding. What would you do? Who are you going to invite? What’s the catering going to be? What’s the entertainment? It was a huge outlay of cash, a gigantic risk. We had about 300 brands show up and maybe a good chunk of them are friends and family, the low-hanging fruit within our sphere of influence. It was the attendees from that event that said, “You’ve got to do this again.” “What do you mean do this again?” That was a one-time/Cult is open for business. They go, “You’re not thinking big enough, this has some substance behind it.” We had to create. It is now a business, it has its own P&L. It’s a seven-figure business and it has a thousand attendees that come and a fair amount of industry cache. We had to make some concessions in order to do that. First and foremost, the honorees, the people that come and speak at that event and honored at that event are hands off. This is not prospecting. We don’t get to work with them at Cult. That’s not the intention for while they’re there. The attendees are fair game. We try to make sure that the attendees know that this was brought to you by Cult. We share this ideology. That was different for us. We thought we might be able to work with these amazing cult brands. We had to make a decision, “Do you want to work with these brands or do you want to build an event that people will come to?” It has to be a separation of church and state there. Even the people that came, I wouldn’t say that the business development proceeds have warranted the level of effort. I can’t say we do this event in February and then the phone starts ringing in March and that’s still in pipeline. There was maybe hope at the beginning that never materialized. 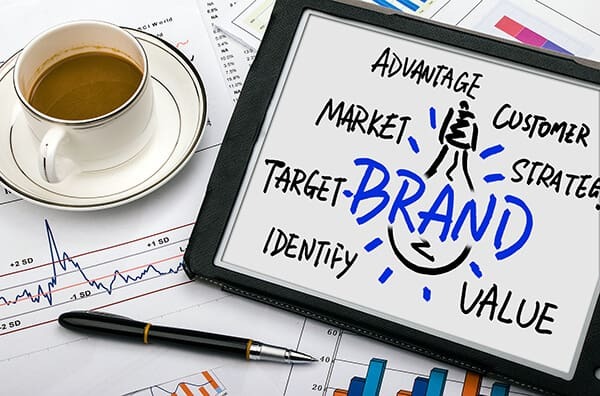 What the event does for us is give us a tremendous amount of updated data about what the most iconic beloved brands in the world are doing so that our products and offerings are better when we now go to some client that maybe doesn’t even know about the event. We can talk about the IP that we gleamed from helping organize that event and researching the brands that are coming. It’s certainly wildly amplified our confidence and our credibility that we know what we’re talking about when we talk about these courageous things that cult brands are doing. Chris, I certainly appreciate you just being very candid about what works with the event and what doesn’t. Everything I’ve heard about events is they’re a lot of work. They’re certainly not for everyone or may not be the best step or activity that someone could pursue. Just getting a sense of what’s working for you and also what isn’t is going to be very helpful for many, including me. Thank you very much. I want to make sure that people can find you. What is the one single place that you would suggest that people go to learn more about your work? CultIdeas.com is the best hub for both our IP around what cult branding does for either consultants or their clients. There’s some content on there, on the Believe page about some of the speaking that we do and some of my personal bio. Chris, thank you so much for coming on. I do appreciate your time. It’s my pleasure. Thank you, Michael.